For certainly if we were a butterfly we’d thank The Lord for giving us wings, and if we were a fuzzy wuzzy bear, we’d thank The Lord that we had hair.” Always we returned to the refrain, “But I just thank you Father for makin’ me…. me.” Those days of youthful singing were joyful, unrestrained. I don’t remember being all that concerned about staying on key, only that I remembered the words, and sang loudly. I remember feeling proud, and loved. When I was around sixteen or seventeen, we switched churches and I met Ruth, the choir director at my new church. Ruth directed a pile of choirs, from children to adults, and had proudly gathered a high school choir of almost fifty kids from around Grand Rapids. So, soon after I started attending, once again I was singing in a church choir. Ruth believed that anyone could sing and soon she had talked my parents into joining the adult choir as well. She was disciplined, firm, and yet loving, and she helped me understand the difference between worship and performance, that thing I was doing with the choirs over at my high school. Here, our singing was not for ourselves, or for anyone else besides God. Here our practice, was born out of thankfulness. Deeply bound in tradition, each Christmas everyone who had ever sung in any choir for Ruth could return, be given a robe and a run-through of the same songs we always sang on Christmas Eve, and the choir would somehow multiply tenfold to declare the birth of Jesus. Before each Christmas Eve service Ruth would name every member of the choir, even those of us who had not sung for her in years. She would note connections between us – Julie the alto daughter of Pat in the Alto section and Ron back with the Basses. She would connect cousins and nieces and granddaughters, weaving a web of family and friends throughout those who had come to sing. Ruth understood that singing in church has at it’s central purpose a building up of the community. Hymns are meant to be sung together, and in so doing they bring us closer to one another and closer to God. She believed firmly in the power of song to lift our Spirits to God, and to make God feel fully and truly present. And certainly for each one of us, with her direction and support, it did. In this Ruth was not unlike John Calvin, who believed that congregational song is a type of prayer, and while Calvin would have likely disapproved of her willingness to use accompanying instruments, from piano to organ to orchestra, their sentiments were the same. So too, church father Saint Augustine once said that whoever sings to God in worship, prays twice. Ruth, Calvin, Augustine, aligned with a long tradition of faithful singing, from the early Hebrews, who sang the Psalms both on route to the Temple and within it during the high holy days, to the early Christians singing those verses we find throughout the New Testament, to choirs and congregations throughout the ages. Whatever scripture says about right worship, it says there should be singing. Singing is synonymous with thanksgiving and praise. Calvin, did not believe, however, that music in and of itself was holy, or spiritual. Calvin wrote that music “has a secret and almost incredible power to move hearts in one way or another.” He was wary of songs that might bend our hearts toward sin. The Methodist John Wesley, fearing the same, took to rewriting popular drinking songs, sung in the local bars, with lyrics that instead sung of the grace and love of Jesus. Wesley and Calvin believed not that “you are what you eat,” but “you are what you sing,” so to speak. This too is the message we hear in the letter to the Colossians, an urging to clothe ourselves with compassion, kindness, humility, meekness and patience, and above all, love… The Pauline vision is a dance between the outer and inner Christian life. It speaks of the new life of the Holy Spirit that works in us: transforming us to be more Christ-like. But he also notes that we must continue to work at this – and that one way we do this is through worshipful singing. As we sing our gratitude, we transform our inmost hearts, toward a life of praise and joy. The idea that gratitude is tied intimately with our happiness is now being affirmed by Psychologists and scientists the world over. Shawn Achor gives a TED talk in which he notes that 90% of our long term happiness is predicted not by the external world but by the way our brains process the world. That is to say, it is our inner perceptions that determine our happiness, not our outer circumstances. It is not the car or the house, the job or the school we attend, but what is inside, which affects our perceptions of the world and our ability to be happy, to be thankful. Achor discovered that a daily practice of gratitude and praise significantly changes our brain functioning, it orients us toward joy, and happiness. So what have you been singing lately? Today marks a significant day in the life of our church with the introduction of our new “Glory to God” hymnal. For some of you this might be like tampering with something sacred. I myself have sung out of the blue hymnal that this replaces for my entire life, this new hymnal is somewhat disorienting and strange. No longer is # 525 Here I am Lord or # 23 Angels We Have Heard On High, much to my dismay. For others of you, this is a change that comes as you were already adjusting to the last hymnal, having sung out of an entirely different set of songs in the tradition of your own youth. Already we had asked you to re-orient your singing faith to something new and different, and now you must begin again. It may feel both exhausting and disappointing. Take heart. We are in this together. As your worship leaders we will be gentle, choosing new and old hymns every week, as we learn together this new corpus of music. Brian Wren, author and composer, has written a book called “Praying Twice,” which can help direct our understanding as we forge ahead together in this task. Wren suggests that congregational music should be corporate, corporeal, inclusive, creedal, ecclesial, and evangelical. That is to say, our singing should unite us, it should make our bodies move, it should be welcoming to those who are new, it should proclaim our faith in God, it should proclaim our understanding of who we are as the Church of Jesus Christ, and it should be a testimony to all who hear it, of the great things that God has done for us. (Whew!) How remarkable that our singing should do all that! This new hymnal was created, in good Presbyterian fashion, by a committee… through years of discernment, singing, decision making, and prayer. As Douglas will share after worship today, it significantly increases the number of hymns, and increases the variety of hymns. For those who miss the evangelical praise songs you grew up with, you might find some of those here. For those who did not grow up in the U. S., you may find a rhythm or tune that comes from your culture or country. And for those of you, who, like me, know by heart the old faithful hymns of the Presbyterian Church, you may just find those in here as well. They may have a few different words, or fresh words to a beloved tune, but those words meant to be welcoming of all people into the life of faith and the heart of God. Wren reminds us that “the primary goal of singing in worship is to give shared expression to shared experience. Worship…is not a museum, but an expression of today’s faith and hope.” (Wren p 298) And so in many ways this hymnal is an expression of who we are, here at LAC: a diverse, intergenerational community, hailing from many faith traditions, welcoming to all and joining together in singing our faith to the Glory of God. So, as we head into this week, celebrating our Gratitude, let us sing. Let us sing, allowing God’s word to dwell within us, transforming us into people of love, and peace and thanksgiving. 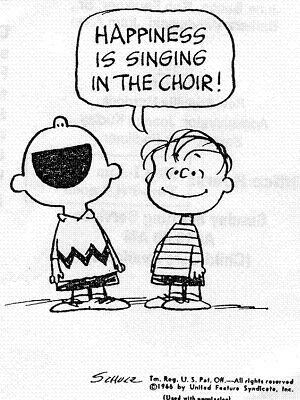 Let us sing! Let us sing! Let us sing! With blessings such as ours, how could we keep from singing?